The Juneau Youth Services is located in Juneau, Alaska where it was first founded in 1961. Now, for over 50 years, the Juneau Youth Services rehabilitation center has served as one of the best rehabilitation centers offering help to the children, adolescents, and young adults of Alaska. The Juneau Youth Services specializes in substance abuse and co-occurring mental health issues and offers free help to patients age 12 to 22 who are residents of Alaska. The Juneau Youth Services follows the 12-step recovery process, using the principles of CBT and DBT into its practice. It offers inpatient, outpatient, and Intensive Outpatient Program (IOP) to patients who visit the facility. Each program includes individual, group, and family therapy sessions. Since the facility is working with children and adolescents, the involvement of the family members is considered to be crucial. That is why the family members of the patients are closely involved in the recovery process, through the family therapy sessions which are mandatory. The Juneau Youth Services does not provide detoxification on-site, not medication management. However, patients are required to have completed their detoxification upon arrival. Dual diagnosis is available as well for patients struggling with substance abuse issues and co-occurring mental health issues. The Juneau Youth Services offers to accommodate a few groups of 5 to 15 patients at a time, each group of patients placed in converted homes. Each home has a few two bedded bedrooms, for two roommates at a time. The bedrooms have twin sized beds, wardrobes, and shared bathrooms. In the main facility, there are offices, therapy rooms, common rooms, and the main kitchen and dining room where 3 meals per day are served each day. All of the meals are prepared by the kitchen staff. However, all of the patients are required to help out in the kitchen under staff supervision. Dietary requirements are respected. Inpatient treatment program – The inpatient treatment program is the most famous treatment options for patients dealing with substance abuse issues and co-occurring mental health issues. That is because the inpatient treatment method poses 24/7 medical supervision since the patients are required to live in the facility for as long as their treatment lasts. The duration of this program is to be determined according to the unique case of the patient. The inpatient treatment program includes individual and group therapy sessions, family counseling, relapse prevention, and dual diagnosis when needed. Outpatient treatment program – The traditional outpatient treatment program is to be recommended to patients who do not require a 24/7 medical supervision since it allows patients to live at home and requires them to visit the facility to attend to individual and group therapy. 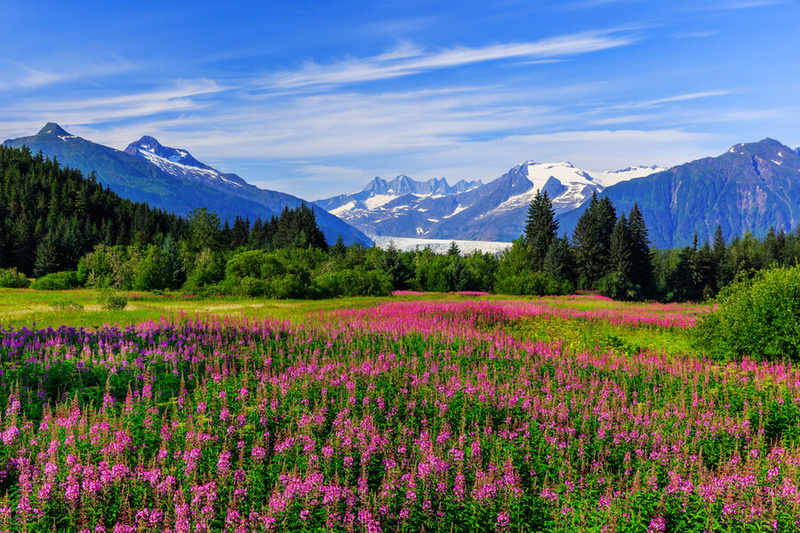 The traditional outpatient treatment program at the Juneau Youth Services rehabilitation center lasts around 90 days, and it includes eight weeks of group therapy, and one hour on a weekly basis of individual therapy sessions. Intensive Outpatient Program (IOP) – The Intensive Outpatient Program (IOP), like the traditional outpatient program, allows patients to live outside the facility during their treatment, and it is recommended to patients with a milder case of substance abuse and mental health issues. However, the IOP is known to last longer than the traditional outpatient program and it involves more frequent therapy sessions on a weekly level of both individual and group therapy sessions. The facility of Juneau Youth Services states that it offers free treatment to the residents of Alaska, age 12 to 22. Unfortunately, no specific information about the insurance acceptance and payment options is to be found on the official website regarding the patients above the age of 22. For more information on the topic, please contact the staff via phone. Unfortunately, the official website of the Juneau Youth Services rehabilitation center does not provide us with the specific information about the accreditations and licenses which this facility and its staff have earned through its active years. To get more information on the topic, we advise you to contact the staff via phone. According to the official website of the Juneau Youth Services rehabilitation center, the facility offers special therapeutic services around the schools in the area of Alaska. The facility organizes special visits from its paraprofessional team who engage in individual and group therapy sessions with the students of all grades. In addition, the Juneau Youth Services rehabilitation center’s clinical team provides before and after-school therapy sessions to help the students understand better and learn to manage their feelings, and behaviors in and out of school. According to the official website of the Juneau Youth Services rehabilitation center, the facility’s professional team includes Master-level certified, professional counselors, therapists, LCSWs (Licensed Clinical Social Workers), and case managers. For more information on the topic, please contact the staff via phone.